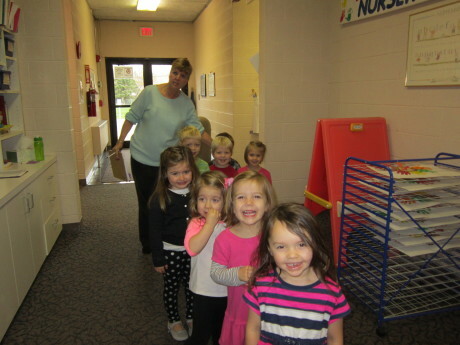 Our Preschool offers morning sessions from 9-11:15 am and afternoon sessions from 1-3:15 pm. Find out the classes available for each age group for 2017-2018 underclass schedules and what they will be learning under objectives. Morning and afternoon students may choose to extend their day by attending lunch bunch. We pride ourselves on small child:teacher ratios. Classes are typically between 10 and 12 children with one teacher and one assistant. Take a look at our class day to see what happens during a typical session! 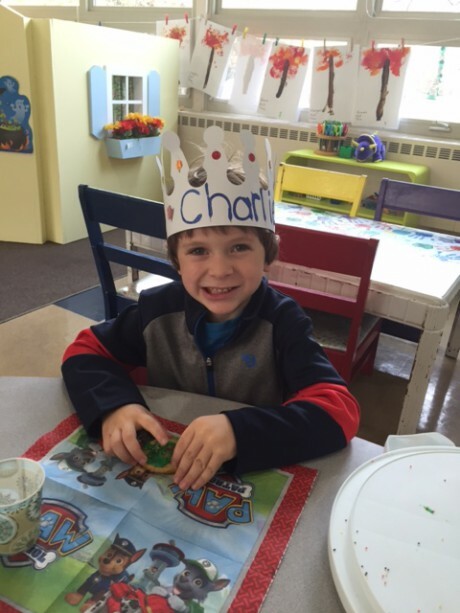 All of the classes at RRPP are play-based and have developmentally appropriate activities for each child. The goals and objectives of each class are based on the Early Learning Content Standards from the Ohio Department of Education. These goals include social and emotional skills, physical skills (both gross motor and fine motor) and cognitive skills focusing on Literacy, Math, Social Studies and Science. Children must be 2 ½ for this class and should be having success in potty training. This class focuses on having the children adjust to being in a group setting for the first time. Social skills such as listening, taking turns and sharing are emphasized. 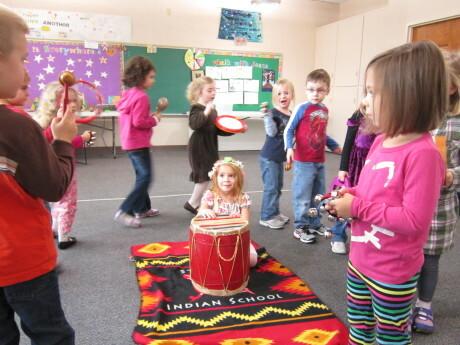 Songs, finger plays and simple art projects are included in the curriculum. 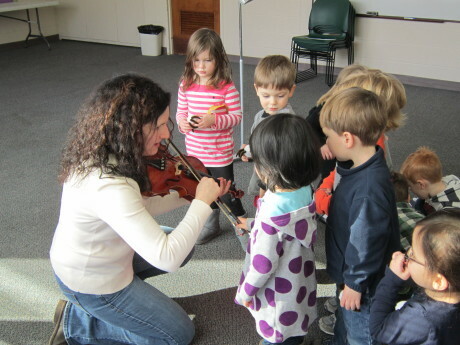 This class is limited to 10 children with a lead teacher and an assistant teacher. Children in this class must turn three by September 30, 2019. The three’s class focuses on transitioning from home, playing cooperatively (sharing, taking turns) and learning self-help skills, such as going potty, washing hands, pedaling a bike and putting on their own coat. The threes will also learn their colors and shapes and work on letter and name recognition. They have a Color of the Week for Show and Tell. This class will also learn to cut with scissors, begin writing their names and start to recognize the beginning letter sounds through the Letter of the Week. 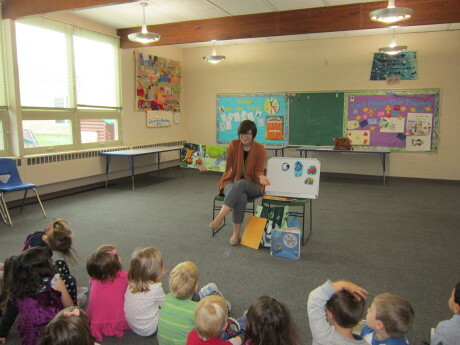 The themes that the threes discuss are supported through books, art projects and dramatic play. They also learn a Nursery Rhyme every month. The 2 and 3 day threes have a similar curriculum with the three day class extending the units that the two day threes are experiencing, adding a Letter Journal for the third day. Class sizes are 12 to 13 children with a lead teacher and an assistant teacher. All of the four’s classes include activities that will prepare them for Kindergarten, while emphasizing social skills. The fours focus on recognizing and writing the letters, both upper and lower case, and their first and last names. There is a Letter of the Week with Show and Tell, a writing journal and a Homework folder for practicing their letters. The Homework folder is sent home weekly. The 4’s also begin recognizing environmental print. They will work on identifying and writing their numbers along with using manipulatives and making seasonal counting books to support their burgeoning math skills. 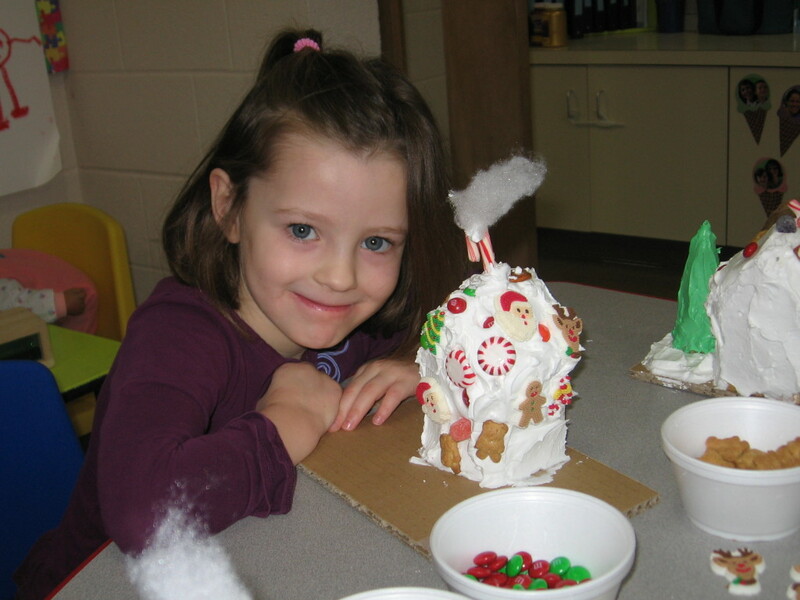 Seasonal themes are supported through dramatic play, easel activities, puzzles and art projects. Class sizes are 12 to 14 children with a lead teacher and an assistant teacher. in that they both prepare the children socially, emotionally, physically and intellectually for Kindergarten. The Pre-K class, however, focuses on a letter and number of the week. Students have weekly homework notebooks and at school writing journals, to reinforce letter sounds and formation. The Pre-K class completes class journal activities daily. These activities are math and or literacy based and focus on following simple 1 to 3 step directions independently, while developing fine motor skills. Children complete thematic and or seasonal journal writings and stories that are scribed by the teacher as dictated by the children. In writing, children are taught their first and last names with a beginning capital letter followed by lower case letters. They continue to refine correct letter and number formation. Pre-K math emphasizes number recognition and number sense. Through a variety of materials and methods, children learn and practice counting, and complete several counting books. Social studies and science units are connected to the letter of the week and include geography, space, holidays and the environment. Students are encouraged to bring in weekly show and share items, which follow the theme of the week. The Pre-K class is ideal for the child who is close to the kindergarten cut off age, but may need another year to build their confidence, independence and social skills, while continuing to explore their world in a play based curriculum. Class size is 12 to 14 children with a lead teacher and an assistant teacher. **Extended day classes will expand on the themes for the week and will include time to eat a packed lunch. 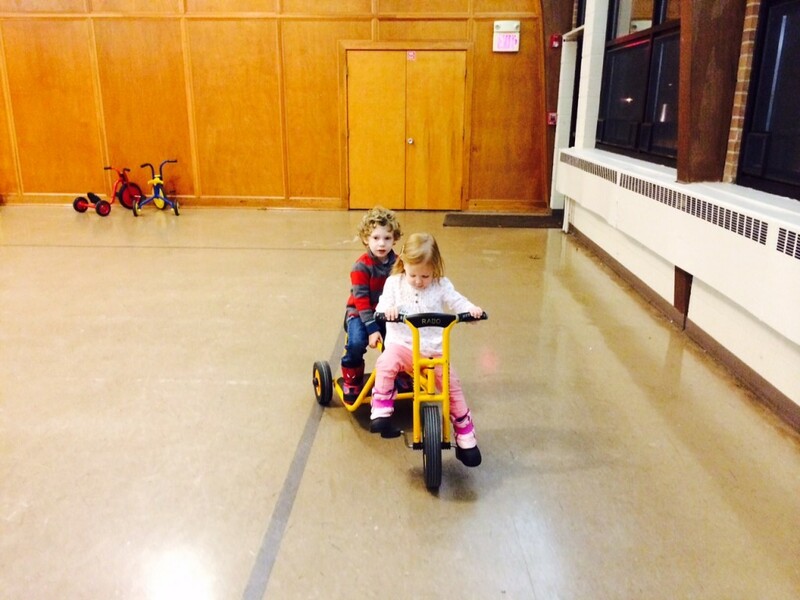 Our Preschool is licensed to serve up to 65 children in each session (morning or afternoon). The children are grouped in classes with no class ever exceeding 18 children, although most of our classes have between 10 and 12 children. Each class has a lead teacher and one or two assistant teachers assigned to them at all times. Our teach to child ratio ranges from 1:6 to 1:8, and never exceeds the guidelines set forth by the State of Ohio. Occasionally, during special events such as holiday parties, on-site field trips, or class events, two classes may play together in our gym or outdoor area. Regular ratios are always maintained. The curriculum for all four and five year old classes includes Kindergarten Readiness Activities. We start our preschool day by hanging up our backpacks and washing our hands! Next, students have the opportunity to participate in several small group activities for about an hour. Activities are sensory, art, writing, dramatic, constructive, math and manipulatives, science and literacy play. We will also go to the special activity room or the music room. Following the activities, there is clean up time, hand washing and snack time (about 30 minutes). After snack is circle time. This includes stories, finger plays, songs and learning games (15 min). The final activity is large motor play. We either play outside in our large fenced in grassy area or in the gym with bikes, scooters and balls (20 min). 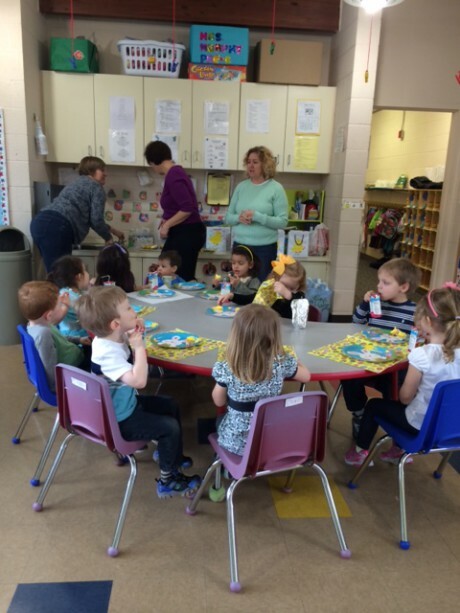 The “Lunch Bunch” is an extension of the preschool day. The children who choose to extend their day for an hour will bring their own lunch and play or do a special activity during that time. Lunch Bunch is offered almost every day of the month. The AM children will stay from 11:15 am to 12:30 pm; the PM children will come at 11:30 and stay until 12:50 when they will be escorted to their classroom. There will be a sign-up for specific days. The cost of “Lunch Bunch” is currently $7.00 a day. 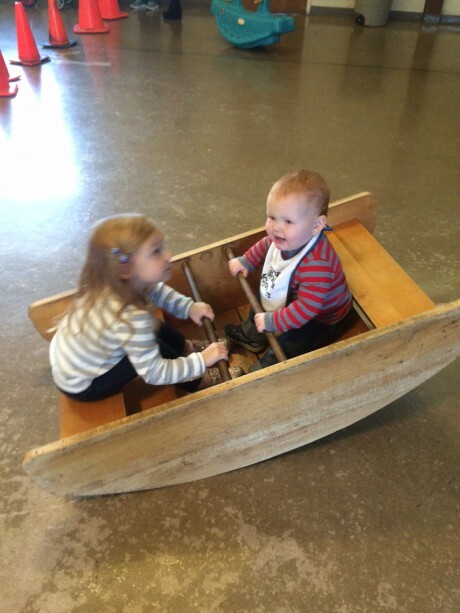 Fun days are grouped into five week sessions from 1:00 – 3:15 on Fridays for our four and five year olds. They work on one theme each session. Some of our most popular sessions have been science and math! In addition to hands on learning, the theme is incorporated into gym/outside time and a snack. The cost for the four week session is $50. RRPP hosts several family fun nights throughout the year, see more under parent news.